The holiday Ouya hopes style and specs will back up a higher price tag. Ouya is getting a new look for the holidays: A limited-edition version of the Android console set - a white box and controller - is coming out in time for the holidays. At $129.99, the new version is almost $30 more than the standard edition, but it's extra feature are more than aesthetic. 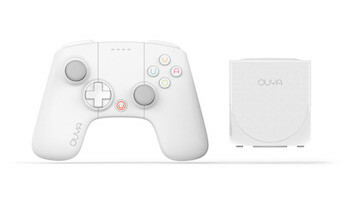 The white Ouya comes with 16GB of storage, double the amount found in the current model. The console is currently available for pre-order in North America. Customers who put money down before December 8 are expected to receive the box in time for the holidays.